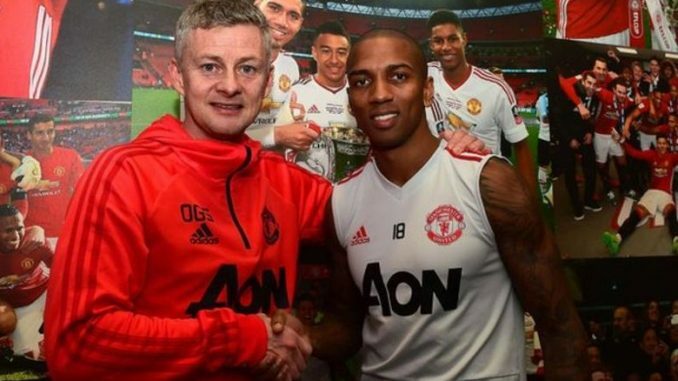 Manchester United star Ashley Young has signed a fresh one-year contract with Old Trafford outfit, the Premier League giants have announced. The 33-year-old Young had only a few weeks left on his existing contract but had claimed his desire to remain at Old Trafford. The Stevenage-born player signed for Manchester United back in 2011 from Aston Villa and has made 228 matches for the club, netting 17 goals. Last March, the Red Devils had exercised a clause in the star’s previous deal to extend his terms for a further campaign, taking the star up to the end of the current campaign. He has established himself as an important member of the Red Devils squad and has made 25 matches this season, scoring once. The previous summer Young helped his country reach the semi-finals of the FIFA World Cup, and he has now been capped 39 times. Norwegian manager Ole Gunnar Solskjaer believes his side have the talent to surprise people in the UEFA Champions League. Manchester United face Paris Saint Germain in the round of 16 on Tuesday, planning to extend their unbeaten run to 12 after a dramatic upturn in fortunes since Ole’s arrival as caretaker boss. Young is the sixth Manchester United player to pen a fresh contract this term after defenders Luke Shaw, Phil Jones, Chris Smalling, forward Anthony Martial and midfielder Scott McTominay.